Lisa from Garlic + Zest is back to tell us all about her delicious 5-course meal from Pat’s Wine Bar & Grill! Read it HERE. 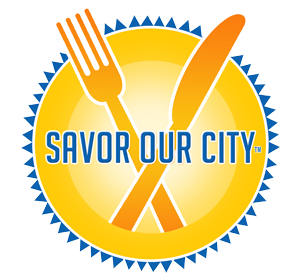 Lisa from Garlic + Zest joined our latest Savor Downtown Boca, “A Taste of Royal Palm Place” and shared her experience with us! Read her full review on her website HERE. Last week I was invited to dine at the Corner Bakery Cafe in Boca Raton, located in the Glades Plaza at 2240 NW 19th St. Known for their fresh, made to order hand-crafted artisan breads, hot breakfasts, made-to-order salads, sandwiches, paninis and pastas, seasonal soups and freshly basked sweets, this eatery, in my opinion, is serving up some humble pie. What I mean is, they are dishing out quality product morning, noon and night and making a real effort to appeal to those of us watching our calories* out there, (100 combos under 600 calories) yet they are still flying under the radar. Well, they should be thankful that their PR firm, The Buzz Agency, got ahold of me because now that I know about them, so do you! Head up to the counter, place your order and have a seat. This fast casual restaurant will bring your food right to your table. Enjoy the free wifi while you’re there as well! Inspired by great fresh ingredients, the small neighborhood bakery on a corner in downtown Chicago began creating artisan breads and freshly baked sweets. Upon a little success, neighbors began asking the owners for sandwiches made with that fabulous bread, followed by homemade soups and salads, and even made-to-order scramblers. Their guests’ requests continued to inspire them and as a result, their bakery’s menu and business grew. *There are more than 100 Corner Combos under 600 calories, with each dish prepared to order, and special requests are welcomed. Corner Bakery Cafe has made a commitment to creating food to fit every lifestyle, using only the freshest ingredients and breads fresh from the oven. Spinach Sweet Crisp Salad made with spinach, strawberries, oranges, grapes, cranberries, green onions and creamy goat cheese with raisin pecan sweet crisps ad a homemade pomegranate vinaigrette. (small salad only had 220 calories) This salad contained some of my most favorite toppers and was fantastic. Tomato Soup & 1/2 Club Panini – Hickory smoked turkey breast, applewood smoked bacon, white cheddar cheese and plum tomatoes with a touch of mayo. The tomato soup was delicious and perfect for dunking my grilled panini into. Spicy Asian Pork sandwich made with shredded fire-roasted pork, sliced cucumbers, spicy slaw, pickled jalapenos and cilantro with spicy Asian BBQ sauce served with a side of mixed greens salad. Think Bahn Mi. Yummy! Corner Bakery has always been part of the neighborhood. That’s why it’s important to the owners to give back to the communities in which they serve. From sponsoring local events to helping children across America get the healthy food they need to grow and thrive, being part of the Corner Bakery Cafe team means more than just enjoying great food. Partnering with Share Our Strength’s “Dine Out for No Kid Hungry,” we raise funds to provide free school breakfasts, after-school and summer meals, and connections to local food pantries. Since 2008, thanks to the support of our cafes, guests and franchisees, Corner Bakery Cafe has raised over $1.6 million in an effort to end childhood hunger in the U.S.
For more information, visit www.cornerbakerycafe.com. Well, the consensus is in…we both enjoyed the quality of the food, the service was prompt and pleasant and the atmosphere was clean and comfortable. I highly recommend dining in or contacting them to assist you with your catering needs.